Today we are featuring a wildest Buggati Chiron Off Roading Concept by Estonian Designer, Rain Prisk. This Concept of his is the far more the best 4*4 Bugatti Chiron. 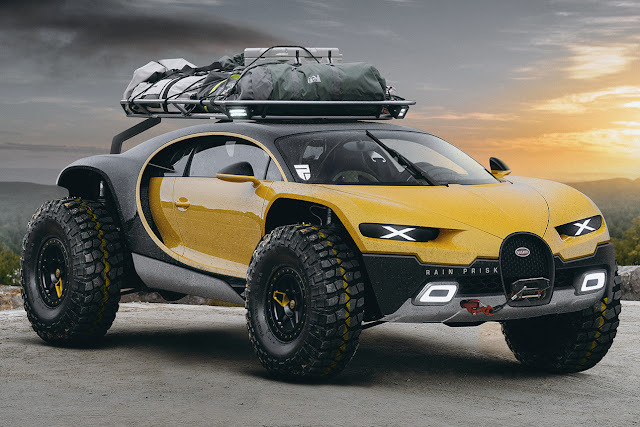 As we the the Bugatti's Engineers and Designer never ever wanted to design any thing like this because the car is track friendly as well as its ground clearance is very low. The car has got the carrier on the roof and wild fat tyres for every road execution. This is going to be the most strange concept ever.